First of the list was the Channel 2 (ABC Brisbane) tower, which at 155 metres high also broadcasts television for multicultural station SBS and Brisbane community television channel 31 Digital. Due to the direction of the sun, much of this tower was in the shade, but the early morning light was hitting the microwave dish antennas mounted on its east side, and the cloud pattern behind added a bit of interest to the images. Across the road from the ABC tower is the huge 203 metre high red and white transmission tower for Channel 10. 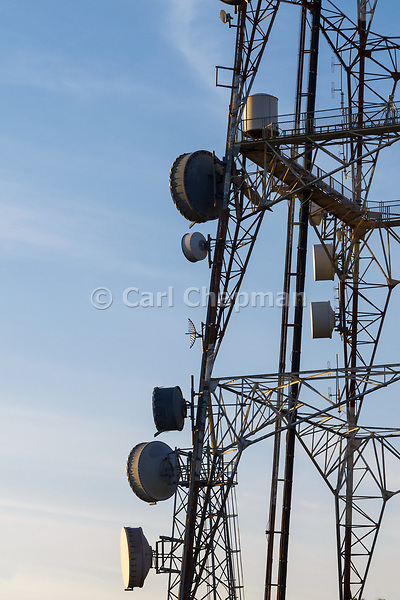 I managed to get some pictures of the tower in the early morning light, with my focus on some microwave dish antennas on one of the towers legs. As the warmth of the sunrise morning light dissipated, I took a few photos of the whole tower from different aspects. 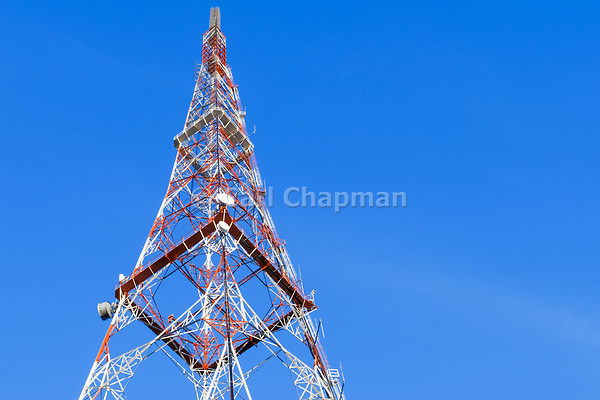 See more pictures of the Channel 10 transmission tower in my television technology image gallery. Next on Sir Samuel Griffith Drive was Channel Seven (BTQ-7), but at this hour of the morning the complete tower is in shadow with the sun still low in the sky, so I continued around to the 153 metre high Channel Nine (QTQ-9) tower. I find all these tower architecturally interesting as the design and construction of each is unique (this one reminds me of the Eiffel tower in Paris), and from the technical side they all seem to use different antenna technologies. 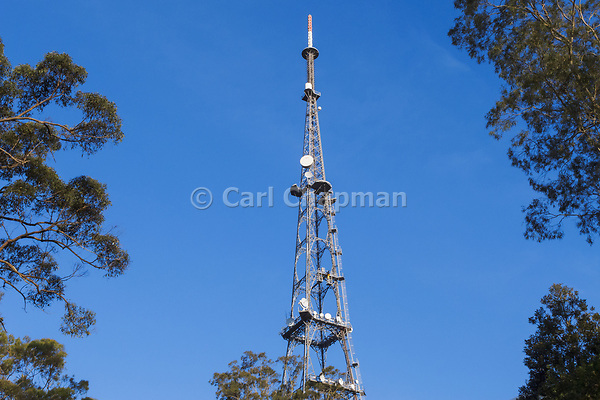 More pictures of the Channel 9 transmission tower can be seen in my television and wireless technology image galleries. With Sir Samuel Griffith Drive being a ring road around the summit of Mt Coot-tha, a photographer is able to get tower images from different angles at various times of the day, and the forest park makes a great location for a drive and picnic.